I hope you’re doing well! I can’t believe we are now in the month of December already! Wow, in less than a month we’ll be in the Christmas holidays. Today is National Day of Romania. It is a holiday when Romanians celebrate the unity of the nation. spend with Andreea it is very special to me! 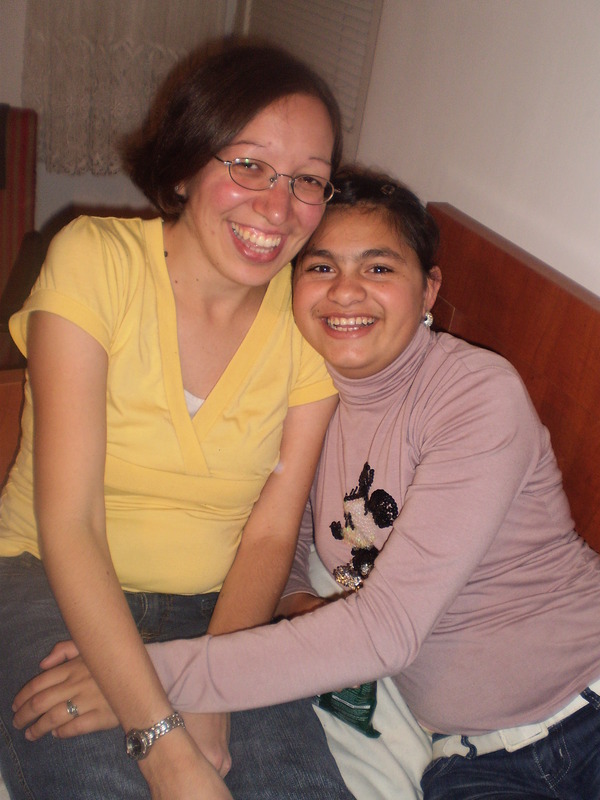 I have enjoyed so much opening up my home to Andreea and a couple of other orphan girls that have come along too. It has been great to spend time together and getting to know each other more. Each time I get together with Andreea and a couple of the other girls I learn more about their stories. Some things we did together were see the movie “Step Up 3D” in the theatre, go out to KFC and just hang out at my apartment. The last time Andreea and Eva (she’s another orphan girl) came over we made French toast together which was their first time they tried it and also maple syrup too. They really liked it! It is my prayer to be a positive role model in Andreea’s life! Something else that is exciting is a couple of the older teen orphan girls are interested in working with the gypsy children and mentoring them! when I saw her but praise God that she is doing better now. Saturday afternoon my friend Cristina and I spent time with our good friends Jon and Margot at their apartment. It was such a blessing to spend time with them. Over the last couple of years they have become like mentors to me and I’m so grateful that God has called them to Romania to serve here. The first year in they were in Romania they taught English at the school where I worked at but now they are ministering at churches and with YWAM. It was great to hear how things are going with them. I also got to share with them how things are going in Oradea and I felt in my heart to share some of the struggles I have been going through. I felt so blessed how they took time to encourage me and pray for me. They will come back to Romania in February however they will be moving to another city when they return. I will miss them but I know that we will continue to keep in touch. staying longer. Steve will be working with the teams and has an interest in any areas too in the ministry. We are so excited they are here so a big welcome to the Haines family! I praise God for the blessing to be able to mentor Andreea and pour into her life! I praise God for people for like Jon and Margot who have mentored and impacted my life! I praise God for bringing the Haines family to Romania! Please pray for them as they settle into her new life here and for the rest of Tiffiny’s pregnancy to go well and the delivery too. For continual prayers for the ministry at the Sabolciu gypsy village. Please pray that God will increase the time I have with the children, for more effective program planning and for a more unity along the Sabolciu team (Norbi, Mircea and I) especially in the area of communication. For my continual Romanian language learning especially in my fluently in my speaking. For continual prayer for closer friendships with my friends. Sometimes I still struggle a bit with loneliness. I also desire to meet with a friend once a week to pray together (a prayer partner). For this Christmas I will not be returning home which is always hard for me to be away from my family during the holidays. Please pray that God will give me a blessed time with friends here in Oradea, Romania and it will be holiday where I will always treasure. My NEW blog: https://romaniangirl98.wordpress.com/ – check out my daily updates!